Can You Identify the 4077th’s Radio/PA System? M*A*S*H fan and ham radio enthusiast Gary is hoping someone can identify the device used by the 4077th as a radio/PA system. The device can be seen on a table next to the company clerk’s desk. 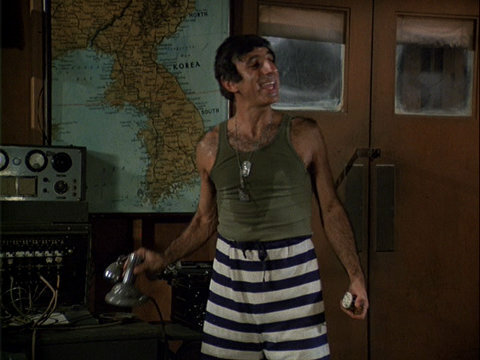 Gary has dug through military surplus radio hardware from World War II and the Korean War but hasn’t found anything that matches what was used on M*A*S*H.
It’s the box with the knobs and switches that Gary is trying to identify. He thinks the round meters measure input/output and the two squares are a reference log or scale. Does it look familiar to anyone? 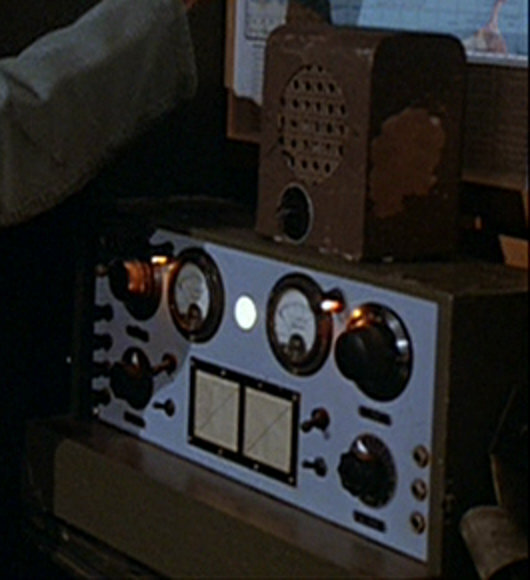 Is it an actual radio or something the 20th Century Fox prop department built for use on M*A*S*H? Can’t verify it but found the below post where someone asked the same question. 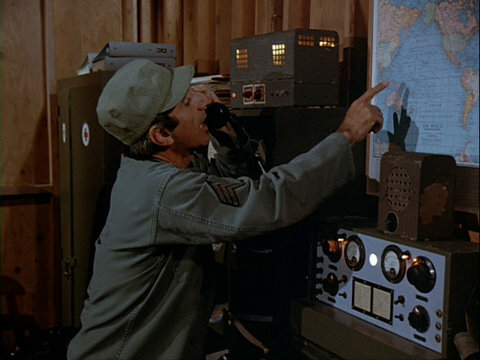 What you are looking at in Radar’s office was actually a model “T.E.D.” radio transmitter. It was normally used with a “R.E.D.” or R-390 type receiver. Yes, it is a “period” piece accurate in time to the Korean conflict. There were a couple of these on my ship, however, they were not in use. Can’t find any pictures on Google that match the term’s he used. While there is a resemblance to a T.E.D series UHF transmitter, there are not enough controls for it to be a transmitter. The T.E.D’s were Navy gray. It looks to be a palindrome of operating positions. I believe that the effect was to have a PA amplifier with multiple, selectable outputs. Radio contacts on the show were made through phone patches. Radar used a field phone exclusively for outside contact. I am nearly certain that this box is a creation of the prop department. The large box on the file cabinet may have been a separate power supply, almost looks like a pair of Heathkits. IN ADDITION: Front to back dimensions of the cabinet reveal that it would have only been capacious enough to accomodate the backs of the meters. There is not enough room inside the cabinet to be a radio, and maybe just barely an amplifier. LOOK CLOSELY. I still have the identical Mash PA amplifier. It is from the same erra late 40s to early 50s. In the series it was referred to as an RCA but the maker is actually Masco which the public would be unfamiliar with. It has numerous outputs for conventional 8 ohms as well as 70 volt of which would be for multiple long distance wiring runs for public address speaker hookups as would be the case for a real MASH unit. Back in the mid 60s I used and it has very good performance including for music. When I was a kid for the heck of it I hooked up a sixty watt light bulb and turned the volume up some and it burnt out the light bulb of which really surprised me. It needs to have all the electrolytic capacitors changed now do to its age. 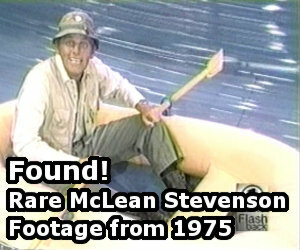 I have dig it out for details on it. It was bought new has been in the family since.